Whenever a COOP series rolls around, there are a couple of names who have a habit of lighting up the series. 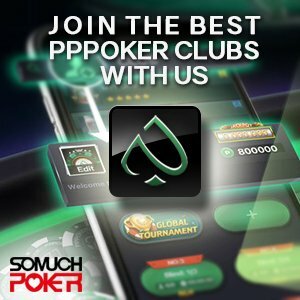 PokerStars "COOP" titles include wins in the WCOOP, the Spring Championship of Online Poker (SCOOP), and Turbo Championship of Online Poker (TCOOP). Shaun Deeb now holds an all time record 8 COOP titles, including 3 WCOOP bracelets, after winning on sunday the USD$215 4 max event, besting a field of 1,593 to take home USD$68,000. His cashes for this WCOOP series now stand at USD$105,911. He now occupies 2nd place in the race for Player of The Series, just 20 points behind 'Fresh_oO_D' from Germany. The WCOOP Super High Roller event this year required entrants to pay a record breaking USD$51,000 to play. 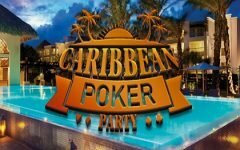 The event attracted 46 entries and generated a prize pool of $2.3 million. An interesting final table emerged, with Mike 'Timex' McDonald leading the way, closely followed by big names Ben 'Ben86' Tollerene and reigning WCOOP Main Event champion Fedor 'CrownUpGuy' Holz. Timex couldn't get much going despite having the chip lead, and eventually fell in 5th place, while CrownUpGuy was eliminated in 6th. It wasn't a bad day for those who like to cheer the big names though, as Ben86 came through in style, taking the victory and over USD$616,500. Ben 'Ben86' Tollerene is not normally known for his tournament grinding, but is best known for trading pots with the biggest names in the world across the high stakes cash tables. From the Asian continent, PokerStars Team Online, Naoya 'Nkeyno' Kihara has been particularly impressive both live and online these last years. After adding a WSOP bracelet to his trophy cabinet in 2012, he has been working hard this year for a WCOOP one too, picking up 8 cashes. These include 31st in the USD$320 NL Holdem Heads Up event, and 6th in the Limit Omaha H/L USD$1,050 event. He is currently tied for 16th place in the 2015 WCOOP leaderboard and sits 10 points above 19th placed Jason Mercier. In other news, Taiwan's Kai Sheng 'Mrp1neApple' Yang has put in a great effort in event 10 – the USD$215 Limit Holdem 6 max. He finished 7th place for $2,305, two years after winning a WCOOP bracelet in the $215 NL Holdem 8 max for more than USD$208,000. He remains one of just a handful of Asian players to have won a WCOOP title.